The inaugural YYreZidency artist will exhibit the work created throughout her summer-long residency. Having constructed a large shack at the entrance of the Y Gallery, SWINTAK continues to experiment with the consciousness of the structure throughout the remainder of her residency. The exact contents of the September exhibition are not yet known, but will surely evoke the transformation of space through, the artist says, what may or may not be a self-aware shed. SWINTAK is an interdisciplinary artist, educator, and inventor. Part armchair scientist, part amateur enthusiast, Swintak’s projects generally involve an experiment with an unknown outcome. 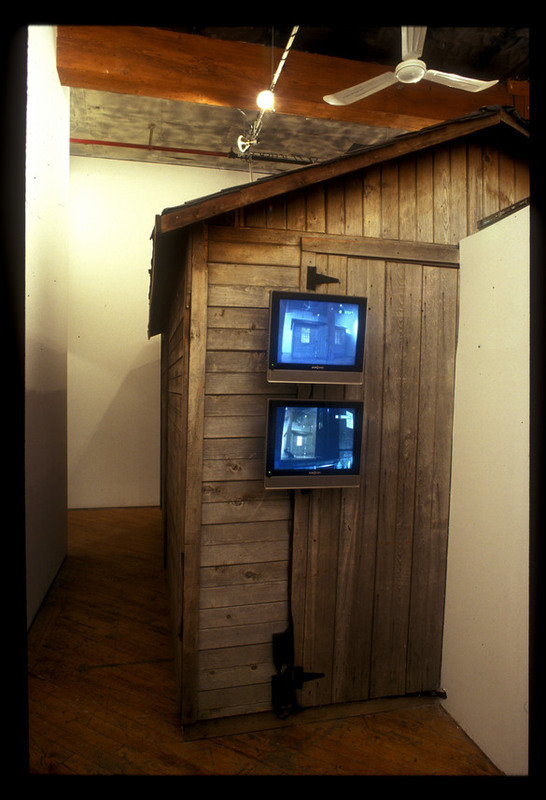 Working in a number of media including installation, intervention and performance, Swintak has exhibited in a variety of contexts including Nuit Blanche (Toronto), Art Gallery of Ontario (Toronto), ArtCity Festival of Art and Architecture (Calgary), Conflux Festival of Psychogeography (New York), Space 1026 (Philadelphia), The Living Museum (Greensboro), Khyber Centre for the Arts (Halifax), Dalhousie University Art Gallery (Halifax) and Rockefeller Centre (New York). Swintak has also presented numerous public installations and relational happenings in places like Vancouver, Teslin, New York, Salt Lake City, Death Valley and Los Angeles. Swintak is currently working on a series of Impossible Projects with assistance from the Canada Council for the Arts. She received a BFA in 2003 from NSCAD University and is committed to continual self-directed research. Read The Artist, the Gallery and the Self-Aware Shed by MICHELLE JACQUES an essay published alongside SWINTAK’S exhibition.